Ross, Skye and Lochaber MP Ian Blackford said it would be for national SNP officials to decide whether to take disciplinary action against party activists who make abusive comments online. Social media conduct was in the spotlight this week following the death of Charles Kennedy — with SNP members and officials heavily criticised for the nature of their personal attacks on the former MP in the lead-up to the recent general election. 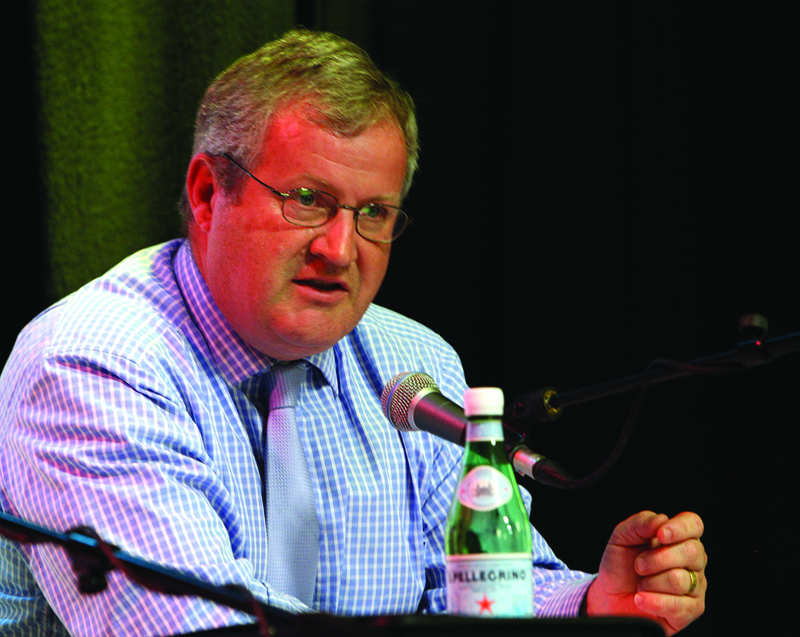 Triumphant Blackford supporters from Skye branded Kennedy a “fat drunken slob”, and a “jaikie t*at” in the aftermath of the long-serving Liberal Democrat’s election defeat following a 32-year career at Westminster. It was confirmed last week that Mr Kennedy — who was found dead at his home in Fort William on Monday 1st June — had died from a major haemorrhage, as a consequence of his battle with alcoholism. When contacted by the Free Press this week, Mr Blackford pledged to warn local party members about what they post online. But he stressed that party suspensions had to be dealt with at a national, rather than local level. He said: “All of us in politics have responsibility to be respectful. Personal attacks should be condemned, and I do condemn them. Mr Blackford said there was a precedent for SNP supporters to be expelled from the party for online abuse — as had been the case when a homophobic message was sent to Scottish Conservative Party leader Ruth Davidson earlier this year. “Nicola Sturgeon has made it clear that nasty personal attacks can’t be tolerated,” he added. The new MP also defended his campaign tactic, accompanied online by the “where’s Charlie” hashtag, which sought to to expose Mr Kennedy’s low attendance record at Westminster in recent years. Nevertheless, some of the social media exchanges between prominent local party members paint a much more negative picture. Another local activist, Johnny McMaster, branded Kennedy as a “jaikie t*at”. In other posts on his Facebook site Smith referred to the British union flag as a “rag”, and described unionist politicians as “festering rodents” — a comment to which friend Annette Nicolson Black replied: “I would rather rats to Unionists”. Mr Blackford said he intended to warn Mr Smith about his social media posts. Speaking on the BBC’s Andrew Marr show at the weekend Alastair Campbell, the former communications director for Tony Blair, said social media could bring out the worst side in politics. Although he said his close friend Mr Kennedy had not been bitter about the election defeat, he urged the SNP to “call in some of their so-called cybernats”. The funeral of Charles Kennedy will take place tomorrow (Friday) at 12 noon at St John’s Church in Caol.